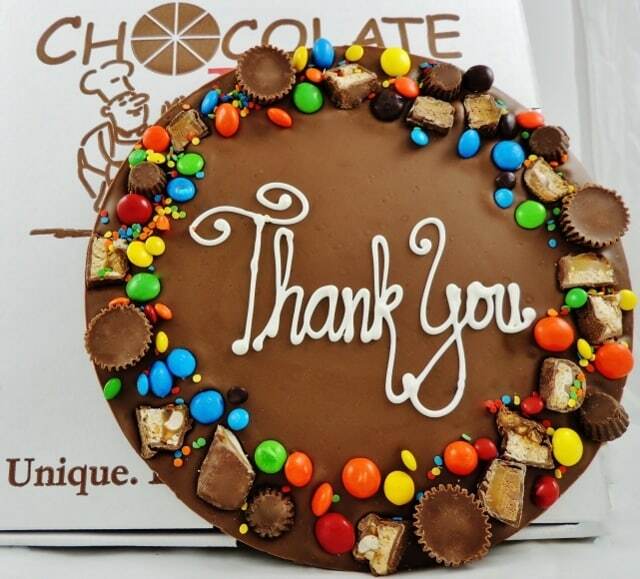 Expressing your gratitude has never been sweeter than when you send our Thank You Chocolate Pizza with an Avalanche border. Packed with your favorite sweet treats this unique gourmet chocolate gift is hand-decorated and is as delicious as it is fun. The impressive Candy Avalanche border a half dozen different kinds of chocolate and peanut butter candies while the Thank You wishes are scripted in white chocolate. 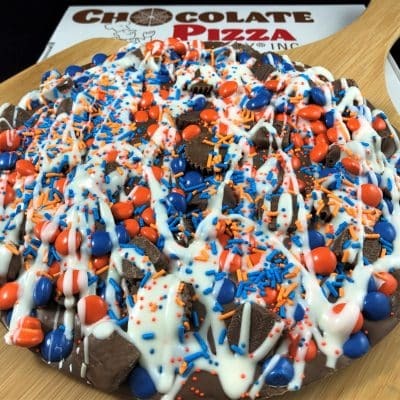 Thank You Chocolate Pizza includes our famous blend of rich milk or dark chocolate and homemade English toffee that has been featured on Food Network and NBC’s Today Show. 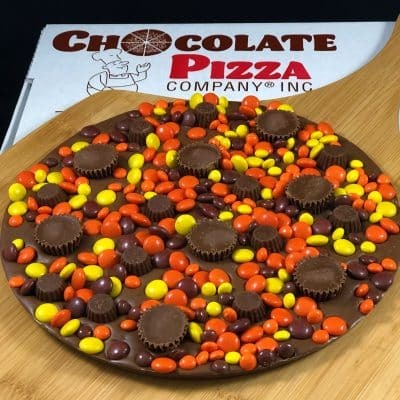 Sealed in cellophane and served in a custom pizza box the Thank You Chocolate Pizza makes a wonderful impression and is a clever way to say thanks. Expressing your gratitude has never been sweeter than when you send our Thank You Chocolate Pizza with an Avalanche border. Packed with your favorite sweet treats this unique gourmet chocolate gift is hand-decorated and is as delicious as it is fun. The impressive Candy Avalanche border a half dozen different kinds of chocolate and peanut butter candies while the Thank You wishes are scripted in white chocolate. 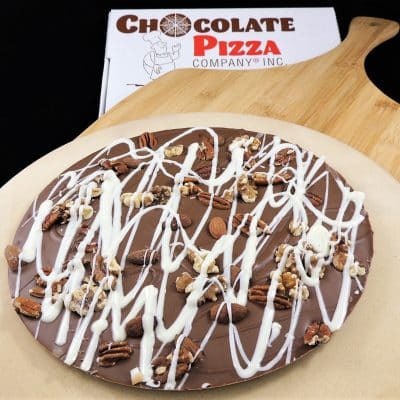 Thank You Chocolate Pizza includes our famous blend of rich milk or dark chocolate and homemade English toffee that has been featured on Food Network and NBC’s Today Show. 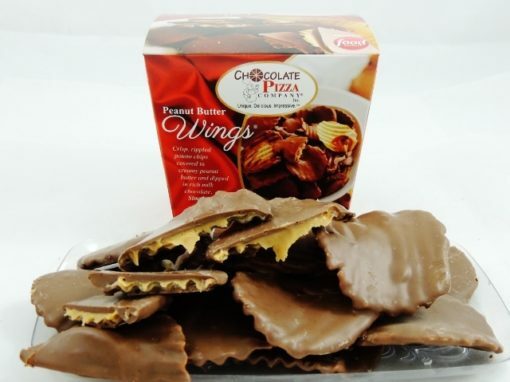 Sealed in cellophane and served in a custom pizza box the Thank You Chocolate Pizza makes a wonderful impression and is a clever way to say thanks. 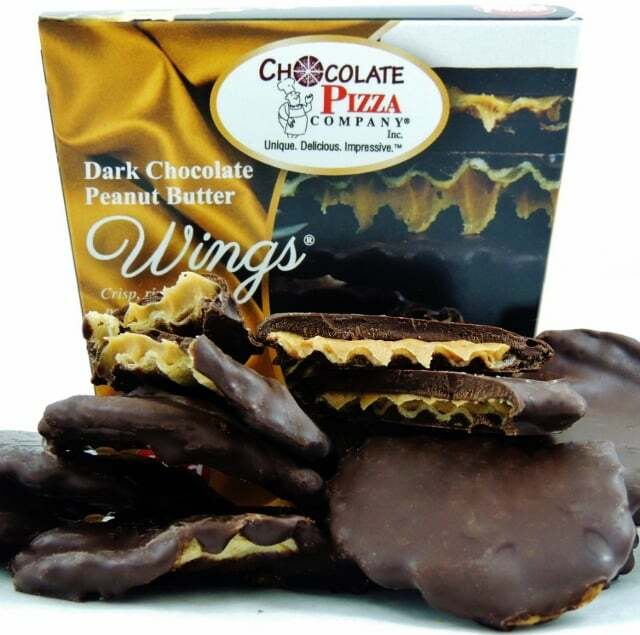 Don’t forget to add our famous Peanut Butter Wings – crisp, rippled potato chips covered in creamy peanut butter and drenched in chocolate to create a one-of-a-kind Pizza and Wings Combo.